You may remember the famous scene from the movie. The Germans have launched Operation Wacht am Rhein, better known as the Battle of the Bulge. Elements of the United States First Army, supposedly in a quiet sector of the front, are pinned down in Bastogne. British Field Marshal Bernard Montgomery will need weeks before his troops will be able to relieve the beleaguered Americans. “I can attack with two divisions in 48 hours,” Patton replies, to a round of snickering from the other generals present. But in the next scene, troops are marching north. The assembled generals were right to be skeptical. Extricating three divisions from a fight and moving them 100 miles in 48 hours? Let’s take a look at what that involves. A World War II-era division is an Army unit consisting of approximately 15,000 soldiers, along with everything they need to do their job. Imagine picking up a town of 45,000, with all the services needed to keep them going, and moving 100 miles in 48 hours. For starters, if you don’t have a detailed movement plan, you’ll end up with the world’s biggest traffic jam. Armored vehicles are gas guzzlers, people have to eat, and soldiers need ammunition. That means you’ll have to pre-position gas, food and supplies along the route. A moving division is more vulnerable than a division on defense. That means you need fighting units to protect moving units, and they need more gas and food and ammunition. A move of this nature requires a planning staff in the hundreds. In World War II, without cell phones, laptops, and GPS units, orders were typed on mimeograph stencils, duplicated, and hand-carried to unit commanders stretched out over an immense area. Today’s technology is far superior, but so are the demands involved. It takes weeks to pull off an operation like this. It can’t possibly be done in 48 hours. Like any good magic trick, it’s interesting to learn just how the apparently impossible happened. In this case, Patton had seen the German offensive coming, knew he would need to move forces north, and had his staff hard at work preparing the necessary orders (including three different contingency plans) well in advance of the fateful meeting. Patton was the only senior American commander to anticipate correctly the German assault. Strangely, he was helped by insufficient information. He was not cleared for ULTRA, the top-secret project that read the top secret Enigma cipher used by the Germans. But the Germans weren’t using Enigma; for the most part units were close enough together to have in-person planning sessions. Even radio traffic was restricted. 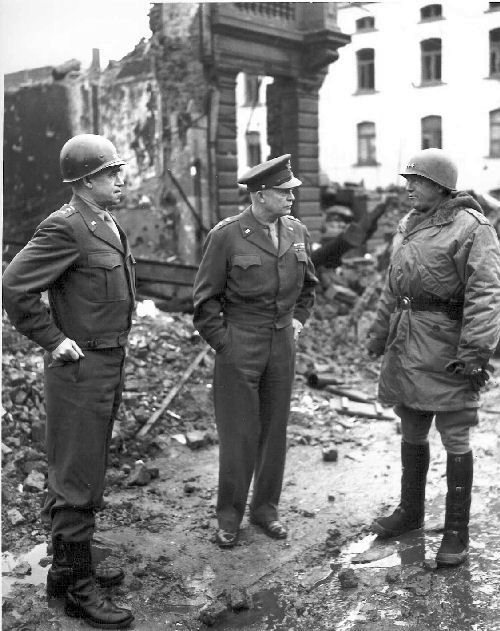 Patton, remembering that the Germans had already come through the Ardennes twice, had his intelligence staff looking closely at the area, and saw evidence of the buildup. The difference between possible and impossible can be just a matter of time. When we say “nothing is impossible,” we usually envision a universe of unlimited time, unlimited resources, and really flexible performance standards. But that’s not the real world. When we’re asked to do something, we have to do it within the boundaries of the triple constraints of time, cost, and performance. Magicians plan well in advance. Often, by the time you know a trick is about to start, it’s already over. You’re just waiting for the reveal. Contingency planning, careful observation, and acting ahead are vital parts of the management process. The best time to influence tomorrow is usually yesterday.